How You Transformed Penn Badgley Into a Creepy DreamboatIt’s hard work to make a guy that handsome into a believable creepmobile. You Casts Hill House’s Victoria Pedretti As the Very Los Angeles ‘Love Quinn’Joe moves to L.A. in season two of the Netflix stalker show. Penn Badgley Has a Noble Reason for Sliding Into Fans’ DMsHe just wants to unpack You’s harmful cultural norms! Penn Badgley Has a Noble Reason for Sliding Into Fans’ DMsHe just wants to unpack the harmful cultural norms that have made everyone horny for the serial killer he plays on You! Penn Badgley Is Hot on You and That’s the PointThe psychological thriller uses aspects of traditional rom-com male leads to show us just how twisted those tropes actually are. Let’s Talk About the Ending of You’s Season FinaleEverything to know about Joe, Beck, and that surprise twist at the very last second. Penn Badgley Wants You to Want More for YourselfPlease stop sending him thirst-tweets about the murderer he plays on You. You Co-Creator Sera Gamble on a Shocking Turn and Creating Charming PsychosThe veteran of Supernatural and The Magicians discusses tonight’s jolting moment, the death of privacy, and drawing inspiration from rom-coms. Penn Badgley Tortures a Man By Denying Him Bareburgers in a You ClipLifetime’s New York satire slash stalking show is getting very intense. Lifetime’s You Is Absolutely BonkersIf you can get past the creepy premise, this show is a messy, murderous romp. Ed Westwick Still Doesn’t Know Who Gossip Girl WasThe former Chuck Bass makes an excellent contribution to a Gossip Girl oral history. Penn Badgley’s New Lifetime Show Sure Sounds Like a Creepier Gossip GirlXOXO, repetition. Penn Badgley’s New Lifetime Show Sounds Like a Creepier Gossip GirlXOXO, repetition. 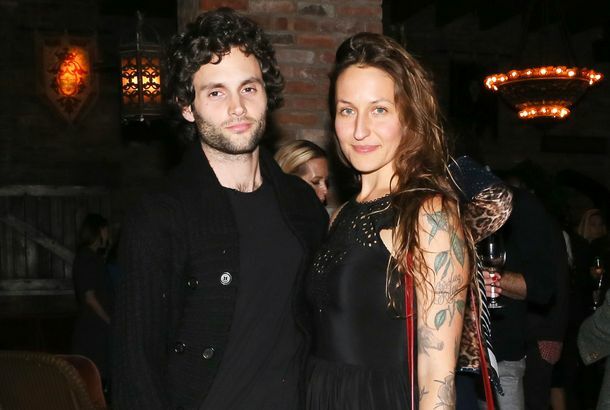 Gossip Girl’s Penn Badgley Surprise Married a DoulaPenn Badgley and Domino Kirke tied the knot in a Brooklyn courthouse this afternoon. Watch Dakota Johnson Recite ShakespeareIt’s from her new movie Cymbeline. Does the Fifty Shades of Grey star pull it off? See a New Greetings From Tim Buckley TrailerPenn Buckley/Jeff Badgley. Iconic Style Moments From Five Years of Gossip GirlFrom slutty uniforms to Blair’s wedding dress, a look back as the final season begins. Greetings From Tim Buckley Trailer: Penn Badgley Sings As Jeff BuckleyAnd listen to those high notes. See Alexander Wang’s Fall 2012 Menswear VideoArtsy camerawork and oh-so-serious voice-overs. Watch Penn Badgley Parody East of EdenIn a comedic short film. Hear the First Recording of Penn Badgley Covering Jeff BuckleyThe Gossip Girl star is playing Buckley in an upcoming movie. Party Lines: Lagerfeld, the Roitfelds, and MorePlus: Linda Evangelista, Olivier Theyskens, Penn Badgley, and more. Penn Badgley Thinks The Hunger Games Works As an OWS MetaphorHear him out. Video: The Kills Play the Top of the StandardShe’ll cut it all off for work, while he’s growing it out just because. See a Very Spoiler-y Kiss From the Set of Gossip GirlLook who’s kissing and telling! See a Young Penn Badgley on Will & GraceStill lookin’ good after all these years (25, to be precise). See Penn Badgley at the Occupy Wall Street March“X-O, we won’t go”? Margin Call Trailer: Zachary Quinto Foresaw Our Economic CollapseCheck out the star-filled trailer for this financial drama. 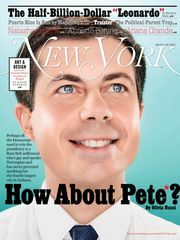 Over: Blake Lively and Penn BadgleyThe force destroying celebrity relationships has claimed another victim. There’s a Special Spot in Karl Lagerfeld’s Fashion Flock for Blake LivelyThe Chanel designer led a star-studded herd from party to party last night.